IsaLean PRO Shakes by Isagenix - 36 grams of the Best Protein! 36g of High Quality Protein in Every Serve! 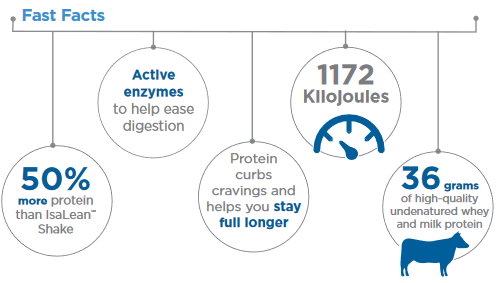 Isagenix IsaLean Pro shakes contain a whopping 36 grams of protein per serving. This is ideal after a hard workout and/or when you have no time to eat a protein rich meal and help feed your muscles for recovery and growth. IsaLean Pro is available in 2 delicious flavours; chocolate and vanilla. Isagenix IsaLean Pro Shakes also contain 6 grams of dietary fiber and over 23 different vitamins and minerals for optimal health. Isagenix IsaLean Pro is very popular with sports athletes and professionals, they love and rate IsaLean Pro highly! Whether you’re a professional athlete, regular gym junkie, or just starting your health and fitness overhaul, try these delicious shakes today. Isagenix IsaLean Pro is gluten free & soy free, and packed into convenient portion size sachets that are ideal for gym bags and to take on the go. 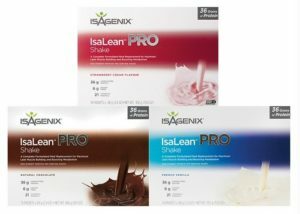 Isagenix IsaLean Pro Shakes are available in French Vanilla and Natural Chocolate flavours (choose during checkout). 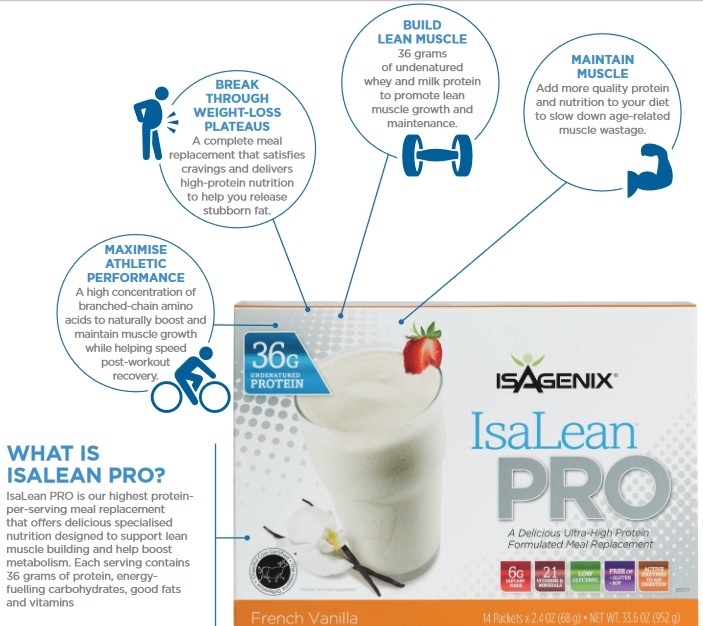 What are the Ingredients in Isagenix IsaLean Pro Shakes? For more information about IsaLean Pro or any of the Isagenix products in general, contact Nicole at info@isaelite.com.au or call her on 0413 254 398. How Can You Buy Isagenix IsaLean Pro?